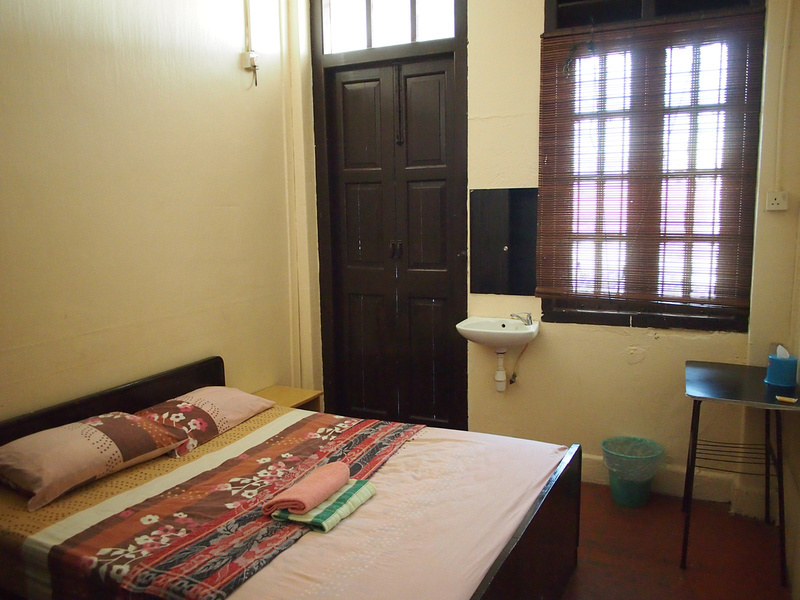 Address: 86 Campbell Street, Georgetown, Penang, Malaysia. 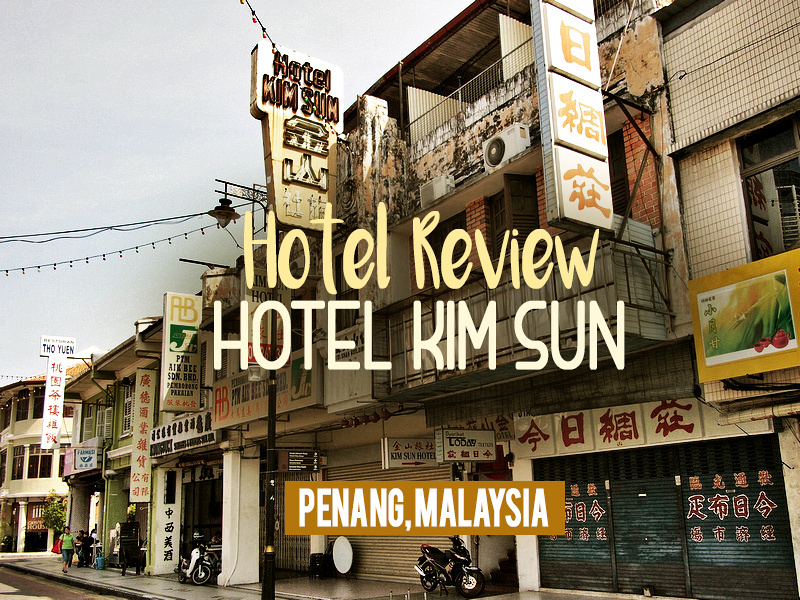 I stayed at the Kim Sun Hotel in Penang. I booked it online at the rate of $15.53 USD and booked it for is central location in Georgetown. There isn’t a Chinatown in Penang as there is such a large Chinese community. Campbell Street has more Chinese shops than most though, and this street has many jewellery stores along here. There are also some nice cafes, not that it really matters because Georgetown is so walkable. The Kim Sun Hotel is a guesthouse that has partitioned rooms and shared bathrooms. The building is looking a bit old but everything is kept in order. The room I was in had this view of the Komtar Tower and the old neon sign. A had a double room with fan and air-conditioner. The bed was comfortable and there was a sink which saved having to use the shared bathroom sink. Some rooms are sold without air-con for a cheaper price, where they just don’t give you the remote control. I usually get by with a fan but this room got hot without it. 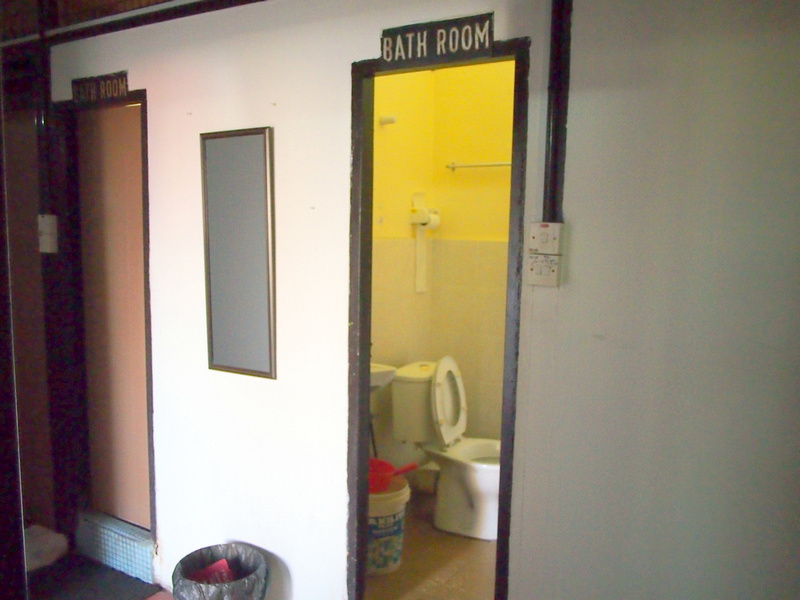 The shared bathrooms had the showers in the small toilet, so the toilet always seemed to be wet. It was ok otherwise. Overall this was a suitable budget guesthouse for backpackers. Book the Kim Sun Hotel online or search for more hotels in Penang.